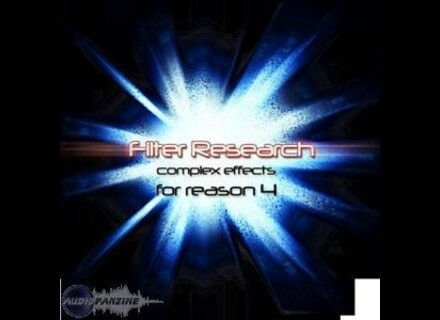 Filter Research, Techno / House / Trance Sample from Nucleus Soundlab. Nucleus SoundLab Announces Filter Research Effects Refill. A variety of different effects are included: dual-filter boxes, granular glitch-machines, self-vocoding devices, huge fixed-filter banks, and crossfaded formants are just some of what you'll find inside. These Combinators are especially organized by effect type so you can find the type of sound you are looking for quickly. Then, by adding a Filter Research Combinator to a simple loop or sequence, you can create something very different, and cutting-edge. By processing the sounds you already own with Filter Research, you can create new, useful material with ease! 192 Combinators included, authored by a variety of designers — Jeremy Janzen, Tom Pritchard, Nick Hutton, Shaun Wallace and Jacob Hargrave. All Combinators created from scratch — except for 10 Planar Filters based on the same template. Each Combinator has all 4 knobs/buttons uniquely assigned. PDF manual describing each Combinator. Filter Research is now available for electronic distribution. The Refill is sold for $34.95 CAD. A comprehensive demo video is available, as well as a free demo Refill. For more information and to order, visit the product page at http://www.nucleus-soundlab.com/fresearch.htm. 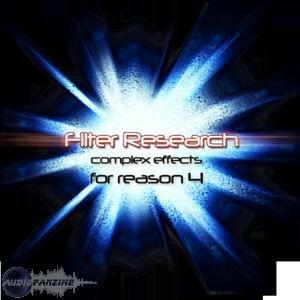 Filter Research — Complex Effects for Reason 4. Only $34.95. For more information, visit their web site at www.nucleus-soundlab.com. New Bass Amp for Guitar Rig Native Instruments just released a free update that brings various improvements to all products based on the award-winning GUITAR RIG 3 software.